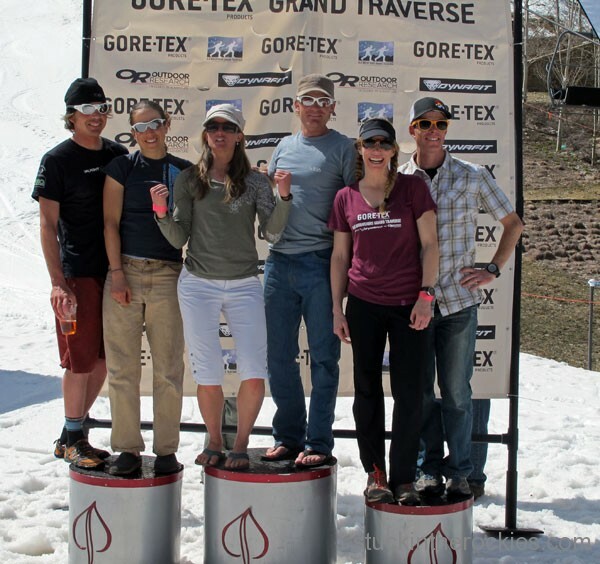 Put another Grand Traverse in the books. Having had a few days to think about the whole experience, the short answer is that it was a really good race. The weather was mild, there was no wind, and the sunrise was amazing. We got ourselves on the podium as the 3rd place in the co-ed category, Christy was the 3rd female overall to cross the finish line, and our time of 10 hours and 15 minutes was our fastest in five years of trying as a team. So it was all good. But as I wrote in a prior post (read here), this race, unlike almost any other we’ve done, is almost never a routine outing. And this year was no different. Well the gear check is a bit routine, but that’s about it. Sticking with the theme of this season, the thin snowpack, warm spring, and super-dry March resulted in a good section of the course being without snow. 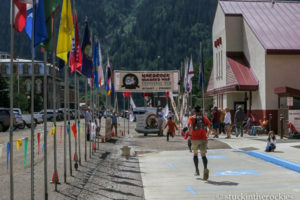 In addition to the dry conditions, private landowners in the East River Valley decided to deny the race the usual permission granted to cross their property this year. Lining up at the start at the base of the ski area. Long-story-short, since there was no snow in town the start was moved to the ski area, and a re-route was devised around the private property that involved traversing a dry, trail-less sidehill for about three miles. From there, we connected with the usual race route, up Brush Creek, which was also snow-free for a while. It was an estimated 7-8 miles of travel on foot with skis on our backs before we actually got back to the “ski” part of this ski race. Looking up the East River Valley on our flight over before the race. Usually the course follows a snow covered road along the valley floor. This year we had to follow the route indicated, through the sagebrush on the dry south facing slope. We hope this won’t be a regular part of the course and the landowner and race organizers can figure something out. Once the race got back to a more “business as usual” feel, some more common issues reared their heads. Our skinny skins weren’t working well on the frozen snow, we passed up a water refill at Friends Hut only to learn soon after we needed it, and Christy’s stomach started giving her grief and she wasn’t really able to eat. 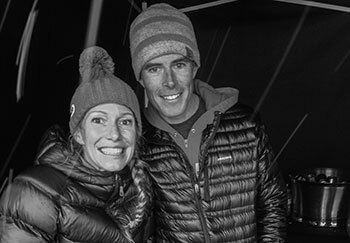 We knew she was the 2nd place female through most of the night so we did our best to hang onto silver but right near the Sundeck, Chris Miller and Eszter Horanyi came cruising by to put us in 3rd. Oh well. I guess that’s just how it goes sometimes. About 8 hours into it, by the MacArthur saddle. There were definitely some lessons learned. It was the first time in 11 finishes we did this race on the lightweight AT gear, we made some incorrect decisions with regard to pulling skins or leaving them on along Richmond Ridge. We opted to cover the dry trail in our ski boots as opposed to many who decided to change to running shoes, and I think that was the right call. 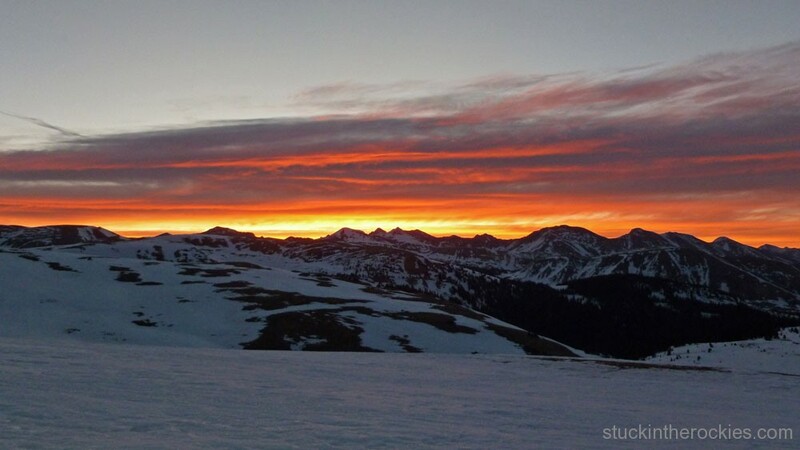 But we chose to switch from hiking to skinning too early on Brush Creek Road which cost us some time and myself a lot of mental frustration. The three married couples on the co-ed podium– Chris and Eszter, Janelle and Mark Smiley, and Christy and me. Second, first, third coed, left to right. Add it all up and it was a good time. We’re already talking about how to get sub-10 hours next year. Here are a few more pics we came home with. The race volunteers “embedded” in the snow on Star Pass as we flew over Friday morning. The course comes in along the trail from the top left, and drops off the pass down to the bottom-center of the pic. It’s a pretty cool descent when it’s pitch black out. 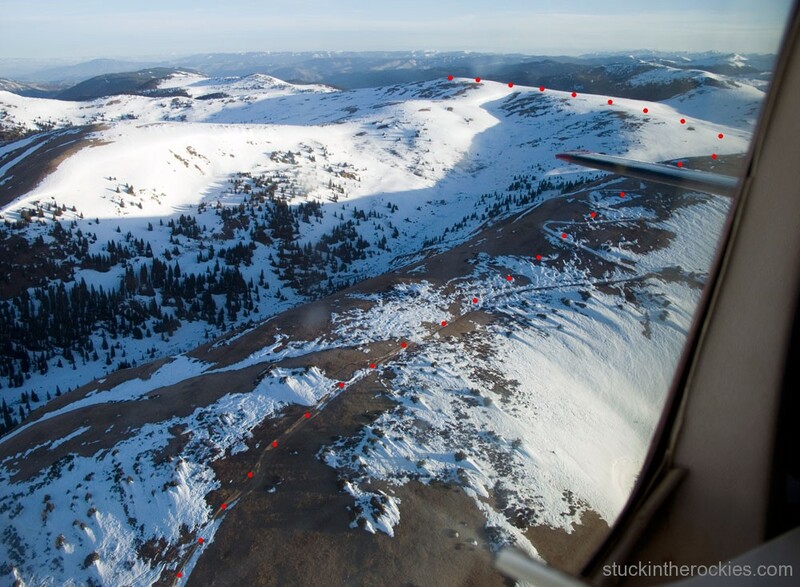 Looking back at Taylor Pass as we flew over. The dry route is indicated, there’s a descent (which can’t be seen) between the top of the switchbacks and Gold Hill in the distance. We arrived to Taylor Pass at about 6:05 am, as it was getting light out. Snowy or dry, cold, warm or windy, it’s a an awesome event. Sierre-Zinal, located in Switzerland’s Valais Alps, was one of the most incredible running experiences we have ever had in the mountains. It was such a special opportunity to run amongst the world’s elite running community on a spectacular course called the “La Course des Cinq 4000” – the “Race of the Five 4,000 meter peaks”. Unbelievable how little snow there is this year. 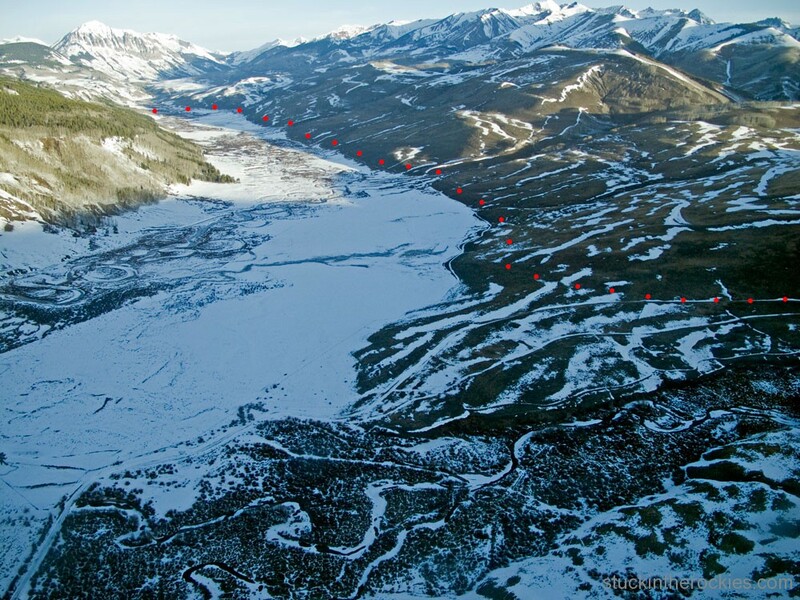 Didn’t they have to alter the route b/c of avalanche danger last year, or something like that? Good job to you guys! Congrats on the podium finish! 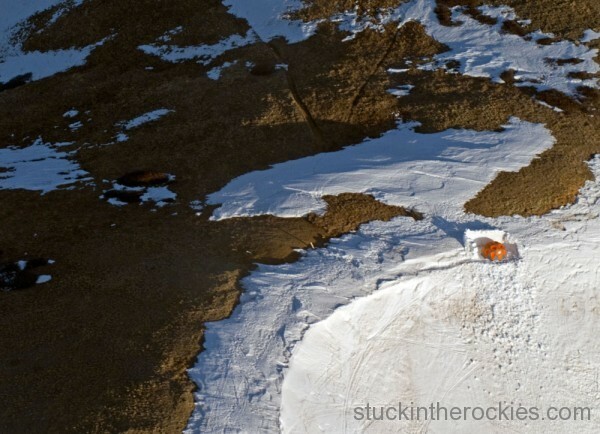 Two years back the did the “reverse” route to avoid bad weather/snow conditions. And last year saw new snow with a lot of trail breaking by the leaders. Glad you had a good trip on the Salt. Neal was with us for the flight, but it was Hawk Greenway who flew us over. It was a pretty nice morning for it, and really good recon of the route. Better yet, the dry conditions allowed us to sneak in the little CB airstrip so we didn’t have to go all the way to Gunnison. Good stuff, man. Congrats to you & Christy! 3rd place finish is just plain awesome! Hope you are well. Well done T&C!! You never fail to inspire. Congratulations on a great finish! 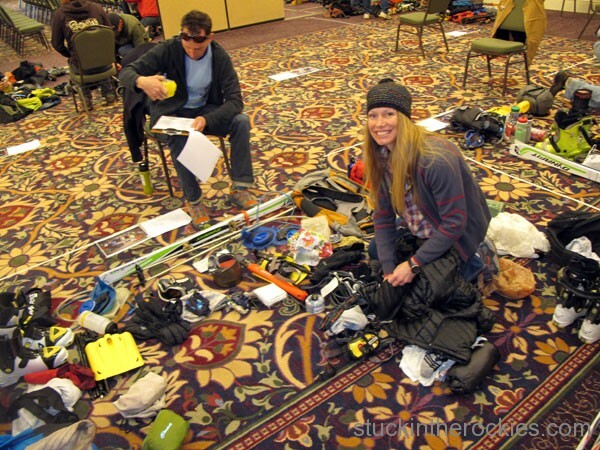 Intrigued by skimo, though I’d have to get some lighter stuff; K2 obSETHeds and Barons are not going to cut it. Likewise, Dylan. Nice job in Costa Rica. I agree, you might want to get some lighter stuff. But that’s a great setup for other endeavors. 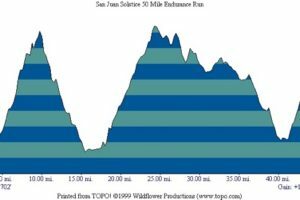 What do you think the advantages/disadvantages are of using a rando race set up vs. a nordic backcountry type setup for the Grand Traverse? After 10 GT’s on nordic gear, we finally raced on rando skis and loved it. The descents are much faster, and more fun, with the stiff boot. 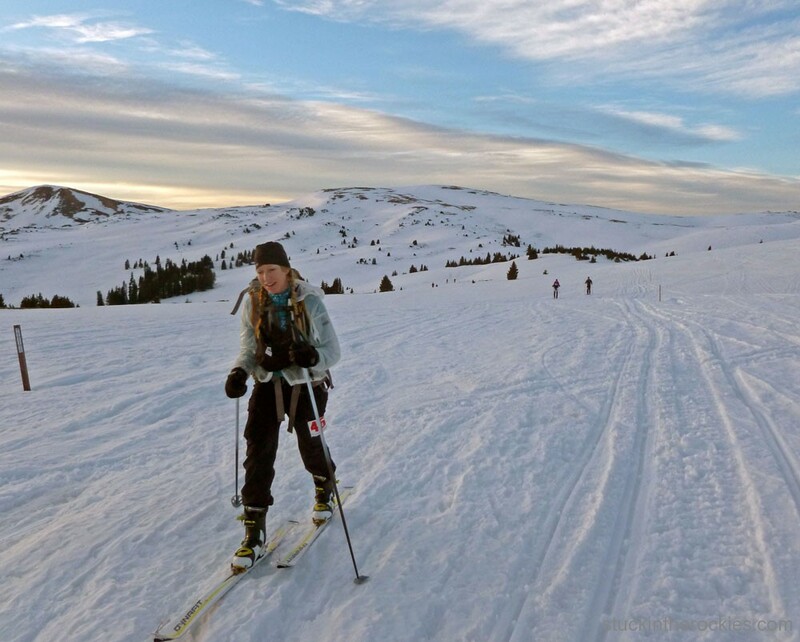 In my opinion, the slight weight advantage offered by nordic gear is offset by the energy spent struggling and/or crashing on the skinny, edgeless skis. If you have both options, the rando skis are better.